It is not often that we start with a ‘Digital Death Watch’-type of story, but the Graham is not just an amazingly resilient single-screen cinema in North Carolina. This is also example of terrific college journalism that incorporates video (below), photos, info-graphics, mapping and social media into an incredibly well researched and written article that gives tremendous insights into that kind of cinemas vanishing all over America. 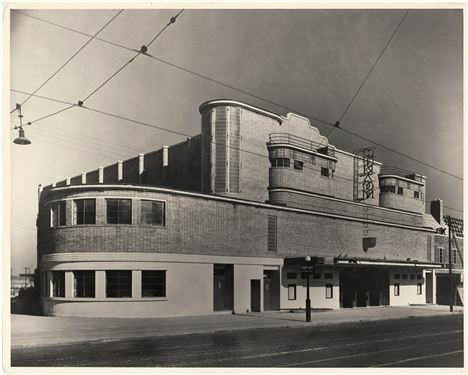 Looks like the Graham Cinema won’t though, as it now has digital projection but still keeps the low prices of tickets and concession, plus the friendly front of house that made it so popular in the first place. I strongly urge you all to read it and hats off to senior reporter Kyra Gemberling, who will no doubt one day be nominated for a Pulitzer, if not for this article already. Opened in 1928, it was once the epitome of Saturday night hangouts in Small Town, U.S.A. The balcony of the cinema’s one and only auditorium overflowed with children bouncing up and down in their seats. The line for the concession stand filled the tiny lobby, often going out the front door and flowing into the bustling street. The grand marquee, advertising show times for such classic films as “The Little Colonel” starring Shirley Temple, served as a beacon of light to guide families coming from all over Alamance County and beyond to its doors. But with the passing of nearly six decades, countless owners and a fire that once gutted the entire building, Matthews knew Graham Cinema was no longer the sparkling movie house it once was. India: Dolby has installed the first Atmos cinema in the nation’s capital Delhi at the Delite Cinema in Daryaganj. And while Delite is the first Atmos hall in Delhi, in India, there are already several halls (mostly in South India) with Atmos installed. The first hall to use this technology was the Sathyam multiplex in Chennai, but there are more now, including PVR Juhu in Mumbai. 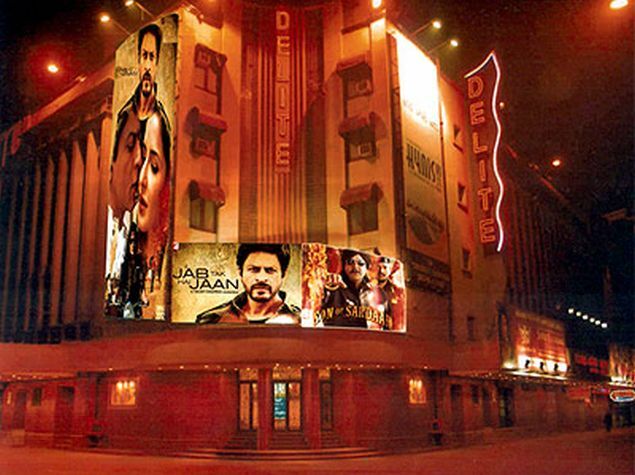 The Delhi Delite announcement comes as Dolby reveals that it plans to have 75 Atmos screens across India by the end of 2014. Dolby, which provides sound technology to entertainment companies, currently has about 15 screens operational on the Atmos technology. 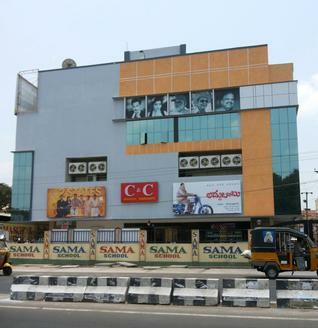 “We are in discussion with multiplex and single screen theatre owners. We are confident that cinema goers will enjoy the sound experience that Atmos offers and more screens across the country will adopt this technology,” Ashim Mathur, Marketing Head of Dolby Technology India, told PTI today. He added that while most of the present screens are in southern and western part of India, Dolby will expand to other states as well. UK (Scotland): A THIRD article about the Glasgow Film Theatre (GFT) and Jaki McDougall this week, latest one highlighting the opening of its third screen. “We were the first cinema in Scotland with audio description, we were early pioneers of captioned cinema, the first in Scotland with autism-friendly screenings and the first cinema in the UK to show a digital film digitally – we beat Toy Story 2 in the West End of London by 24 hours. It is a list of achievements to be proud of, but Jaki and her team at Rose Street in the city centre aren’t ready to rest on their laurels. 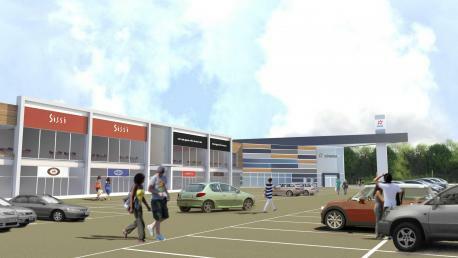 THE owners of Yate Shopping Centre have urged South Gloucestershire Council to next week approve plans for the town’s long awaited cinema or face the consequences. Germany: Cinemaxx has changed the form of its incorporation, following its successful de-listing from the stock exchange and take-over by Vue. As of 25 April CinemaxX AG became CinemaxX Holdings. UK: With lots of sporting events this summer, UK distribution trade body is planning a series of adverts for summer blockbusters to tempt people away from Wimbledon, World Cup, Commonwealth Games. The digital campaign to promote moviegoing this summer aims to highlight the spectacle and diversity of films hitting U.K. theaters this summer. 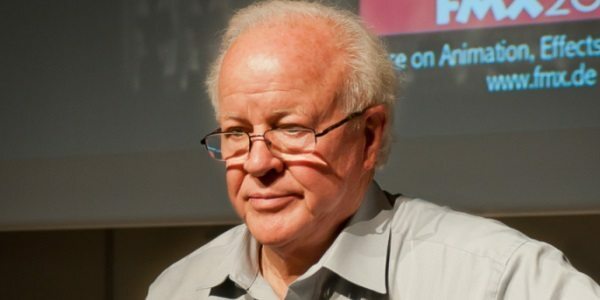 Targeting both infrequent and regular cinemagoers, the campaign includes a 75-second compilation trailer available online and airing in U.K. cinemas. The FDA also promises to roll out a series of 15 six-minute movie preview shows online. It should be noted that the FDA is the least patriotic when it comes to UK/England playing in any major world tournament, as public interest fades once the local team/talent has been knocked out. India: Theatre hall owners blame bad films for declining attendance; cinema goers blame air conditioning not working. 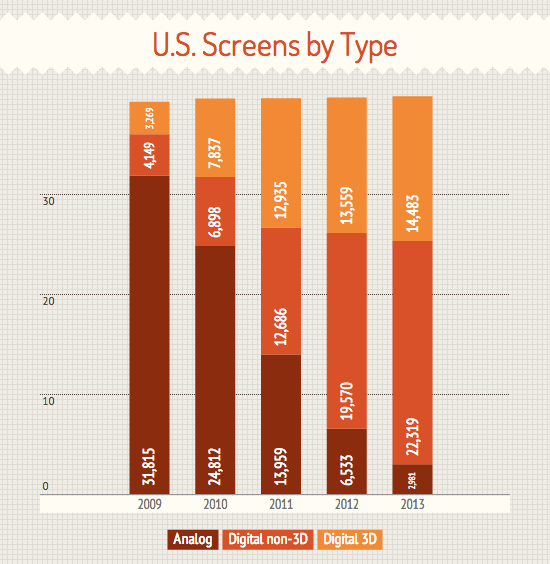 More and more single screens are becoming function halls as multiplexes encroach. Audience staged a protest during the matinee show of a new release at Devi Multiplex last week against the non-functioning of air-conditioner in the hall is a classic example to showcase the raw deal being given to film goers in Kakinada. Despite revising the entry tickets time and again, most of the cinema hall managements failed to provide basic facilities to audience. At a time when the cinema halls are turning into multiplexes, there is a steady increase in the number of complaints from the film goers. Mynmar (Burma): Efforts to open cinemas and multiplexes in Myanmar are said to be hampered by the lack relevant laws and regulations. 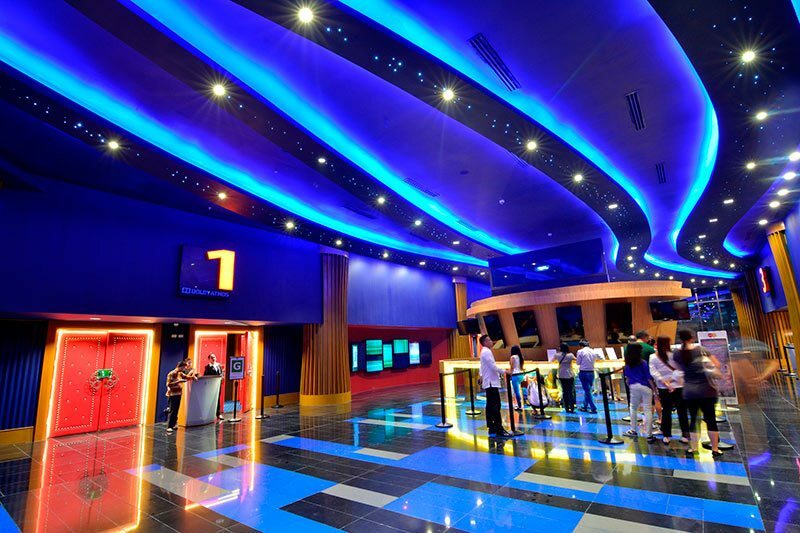 “At least one foreign company has been in Myanmar to survey the feasibility of building a cineplex here,” said a South Korean entertainment company’s spokesperson, adding “The film industry here is still weak. But I hope it will become more developed in the future. There’s a lack of precise bylaws and rules and regulations for the film industry and screening system. So, they are reviewing whether they should invest in the country or not,” he said. “Film production here is still based on verbal promises, rather than proper contracts. We have to wait for at least two years for a film to be screened at a cinema,” said a film producer. USA: Soon you will be able to see the world’s first 4K HFR 3D 120fps film from an Oscar-winning legend technical pioneer of film-making. No, not James Cameron. And I hear it’s in Atmos too. eyeon Software and Trumbull Studios have announced the first public screenings of UFOTOG, a ten-minute technology demonstration of a 4K 3D movie at an astounding 120 frames per second. Directed by Academy Award® winner Douglas Trumbull and produced at Trumbull Studios, this experimental sci-fi adventure demonstrates Trumbull’s new process called MAGI™; a new cinematic language that invites the audience to experience a powerful sense of immersion and impact that is not possible using conventional 24FPS or 3D standards. 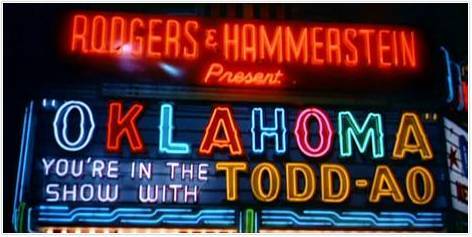 USA: Or if you prefer classical musicals to science fiction, how about a restored 4K HFR (well, 30fps) version of Oklahoma! courtesy of Qube, Fotokem and TCM? Oklahoma! was the first Todd-AO feature shot at 65 mm and one of only two shot at 30 fps. It was downconverted to 24 fps for distribution but FotoKem had a negative of the 30 fps version. Nine years ago, FotoKem, noticing that the original negative was badly faded and continuing to fade, made a 65 mm interpositive of the film. For the restoration, it scanned this 65 mm source at 8K to capture as much detail from the film as possible. FotoKem mastered two DCPs: a standard version and a high bitrate DCP that took advantage of the Todd-AO 30 fps film capture. Mastering at this rate – double that of most DCPs these days – made for much more data in the DCP. This meant that the TCM Classic Film Festival needed a server and IMB capable of handling the amount of data being streamed to the 4K projector, and this is where the Qube XP-I server and 4K Xi IMB came in. Toronto filmmaker and game designer Thomas Wallner envisions a day when going to the movies becomes going into the movies. “I don’t think you need this to tell better stories,” Wallner said of the Liquid Cinema software his company DEEP Inc. (Digital Entertainment Every Platform) is developing to create immersive film experiences via virtual reality. 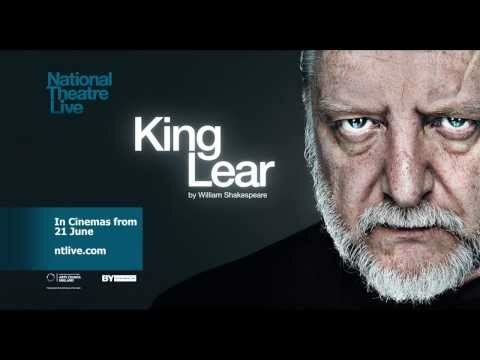 UK: A slightly belated heads up (sorry, yesterday was a Public Holiday) on the NT Live King Lear screening yesterday. Encores and time-shift screenings still happening. It’s not up on PirateBay yet, but I’m sure it is sadly only a matter of time. UK: DenofGeeks has a rant about the poor quality of some cinema adverts and gives (YouTube) examples of great ones from the past 30 years. But it starts off by maligning Showcase cinemas’ promo, which surely isn’t that offensive. I’ve seen far worse. Let’s start from a low base. Some of the introductory and promotional videos that cinemas themselves use have been part of the fun over the years, with slanted fonts, day-glo colours and the promise that you could rent the screen for your own private screening. We never met a person who did. Philippines: 4DX cinema has arrived in the Philippines, more precisely at Bonifacio High Street Cinemas as of April 30 with The Amazing Spider-Man 2. Where you’ll find it: The four-theater cinemas are located at the new Central Square, the newest four-story retail space at Bonifacio High Street Central. It is adjacent to the BHS Central Plaza, near Stella and Rocket Room. Not much else is open (although expect the country’s first Pottery Barn here later this year), but the cinemas are more than enough reason to visit. Beyond just sight: Developed by South Korean company CJ 4DPlex, the 4D theater features “precise choreography of motion system and environmental effects,” which basically means that whatever action onscreen will be replicated in real life (or at least, as close to the real thing as possible). Germany: Cineworld Lünen is getting two premium screens. 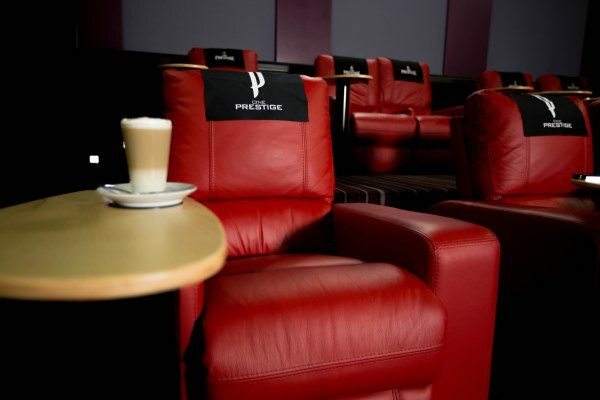 South Africa: South Africa’s Ster Kinekor is also getting on the premium seating bandwagon. Ster-Kinekor is expanding its luxurious Cine Prestige theatre offerings to three more sites, including The Grove in Pretoria East, which commences trading on the evening of Friday 28 February with the screening of multi-Oscar nominated American Hustle in the two theatres. The conversion process has started at Gateway in Durban and in Sandton City in Johannesburg, and the completion date for the two new Cine Prestige theatres at Gateway is expected to be mid-March. The cinema in Sandton will open shortly thereafter. Korea (South): The article ‘6 Cinemas Any True Movie Buff Must Visit’ includes this tasty looking one from Korea. You won’t leave this theater without feeling wined and dined or at least feeling like the movie stars appearing on the big screen in front of you. That’s because South Korea’s Cine de Chef Theater takes the diner and a movie concept up a couple notches with a menu so pristine, the typical hot dogs and popcorn options look like scraps. After customers are done filing their appetites on Le Cordon Bleu Asian-infused feasts, then they are invited to take a seat in the movie theater’s snug armchairs to enjoy the featured film. If that’s not enough, Korea scores another TWO (!) in this particular Top 6 with the Incheon (South Korea) Airport CGV Theater and Seoul, South Korea: CGV Cheongdam Cine City. In the preview above they seem to have taken Barco’s three-screen cinema to heart, though it looks like a 4DX demo mini-cinema at a motor show, rather than like a permanent theatre. Nigeria: The most prominent Nigerian film for years, if not decades, starring two Oscar nominees isn’t getting shown in its home country. India: A film with Hindu-Muslim theme provokes the ire of a small group of noise makers in India. 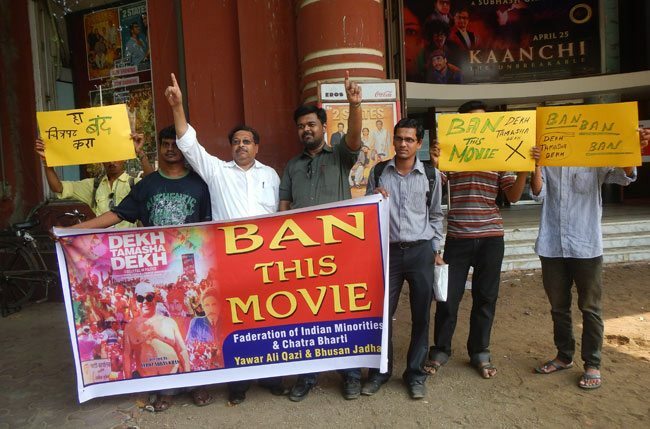 Filmmaker Feroz Khan had to cancel the special screening of his film ‘Dekh Tamasha Dekh’ that was being held at Eros mini theatre on Wednesday afternoon after a group of about 30 persons stood outside the theatre and protested against the film. UK (Wales): Investing in digital equipment is not enough in itself to save local cinemas, as this ‘Open Letter’ from the husband and wife team who own and run the Palace Cinema to the Haverfordwest Chamber of Commerce about their ‘vision’ for Haverfordwest that includes a new multiplex, makes clear. Just over a year ago we invested in the latest digital projection equipment including 3D from Sony. As we’re a commercial operation we do not qualify, and have never received, any grant funding. All investment is made using our own financial resources. This was £100,000 worth of equipment over a ten year agreement. We’ll still be paying for that when the Palace has long gone if you have your way. 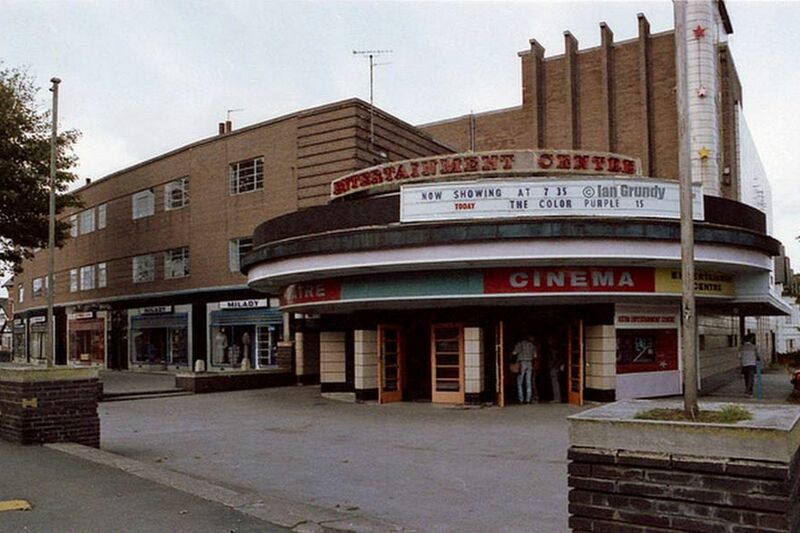 UK: Dover’s Silver Screen cinema has been saved after the local council contributed the last GBP £20,ooo. SILVER Screen supremo Sandy Wallace is “over the moon” after Dover Town Council (DTC) finally pledged £20,000 to save his cinema. 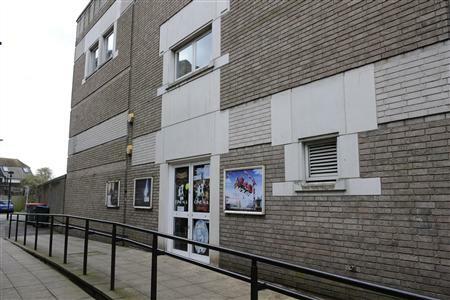 Councillors voted unanimously to help fund a vital new digital projector for the Gaol Lane venue at a meeting last week. The decision is a victory for Express readers who demanded the local authority stop dithering and hand over the cash. 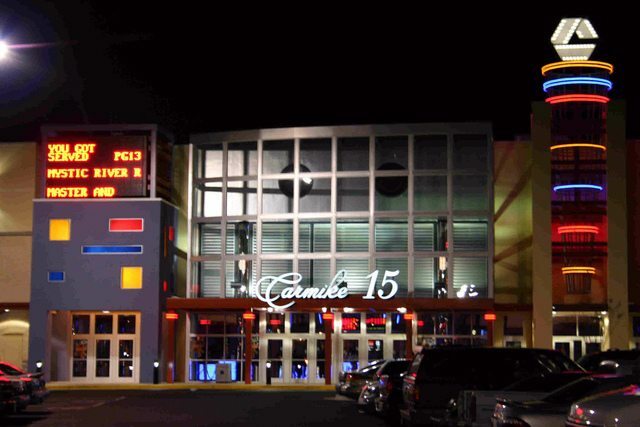 Carmike Cinemas, Inc. (NASDAQ:CKEC), a leading entertainment, digital cinema and 3-D motion picture exhibitor, today announced that guests at its Carmike 15 entertainment complex (5555 Whittlesey Boulevard in Columbus, GA) will have the opportunity to choose among the most immersive premium in-theatre experiences available on the market when its ‘BigD’ premium large format (PLF) auditorium reopens this coming Friday, May 2. The Carmike 15 BigD will now feature the all new Auro 11.1 by Barco cinema sound system as well as a state-of-the-art Christie Brilliant 3-D flash digital projection system. In addition to the BigD opening, an aggregate of 38 seats in two auditoriums has been outfitted with the D-BOX cutting-edge motion technology to also debut Friday. India: A new shopping mall has opened in the Kashmiri town of Jammu, with a multiplex. The Wave Mall, located in the heart of Jammu, sprawls over an area of 200,000 square feet. 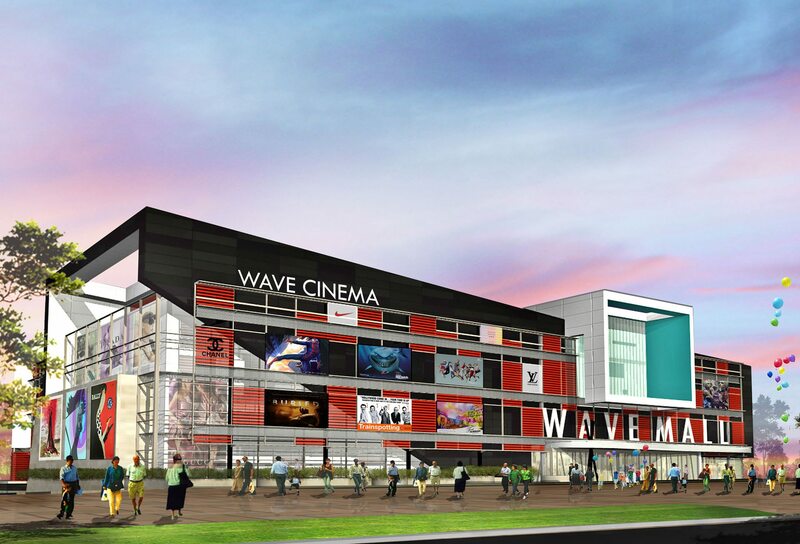 Its premises will include a multiplex ‘Wave Cinemas’ with 3 screens that accommodates 1,043 seats. USA (MA): Bostonians, rejoice at the opening of ye latest multiplex. USA (FL): Napelites (Napelinos?) can enjoy the comfort of a new cinema. Bar looks good too. 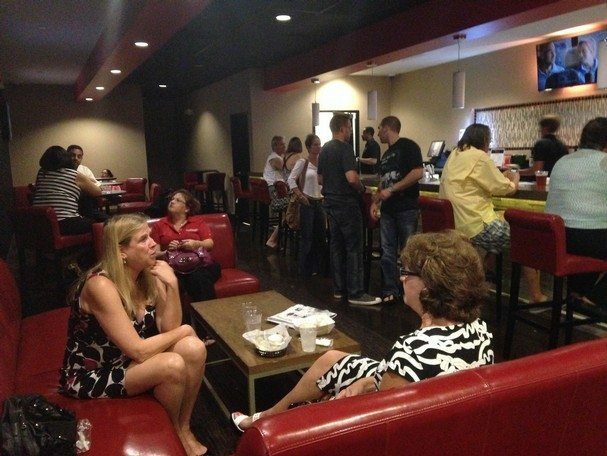 As one of the first patrons to enter the theater Thursday after its change in ownership and an extensive makeover, Ambeau said the theater is now more spacious and clean. 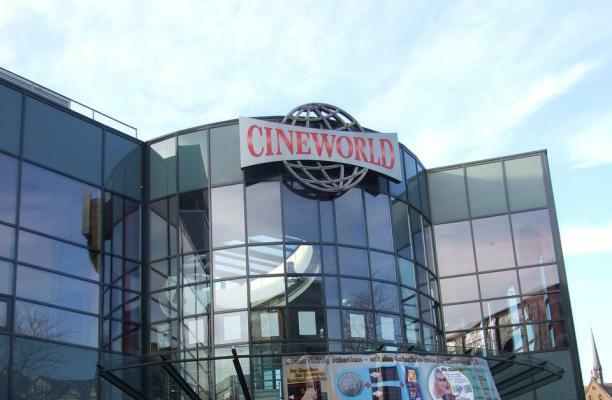 UK: Ely-ites are rejoycing at the news that a Cineworld multiplex will soon be built in their town, local newspaper reports. As revealed by Ely News, East Cambridgeshire District Council has appointed Cambridge-based Turnstone Estates Ltd it as the developer for a new £15 million Cineworld-anchored leisure village on land off Downham Road. The plan is to build a 47,600 sq ft development, to be known as Ely Leisure Village, comprising a six-screen Cineworld multiplex cinema with eight restaurants. There will be parking for 375 cars. 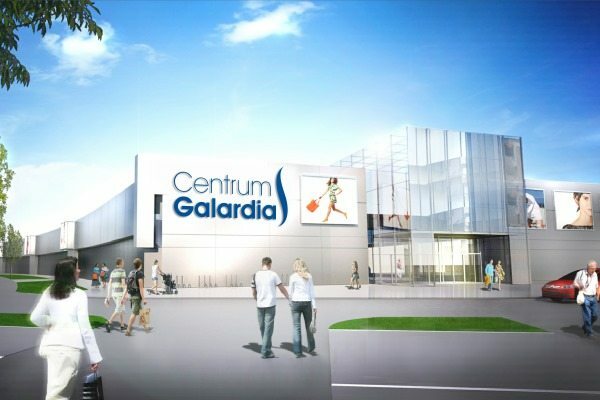 Poland: Helios is opening a multiplex in Galardia shopping mall – and bragging about being Poland’s largest cinema chain. 23 April Helios took possession of the 1,330 sqm., which will soon give rise to a 4-screen cinema for 600 spectators. Movie theaters along with projection and technical rooms and rooms for staff are currently in a raw state and are ready for final finishing to be carried out. Viewers will also be able to enjoy a Helios Bar with popcorn and drinks as well as coffee in Helios Café. 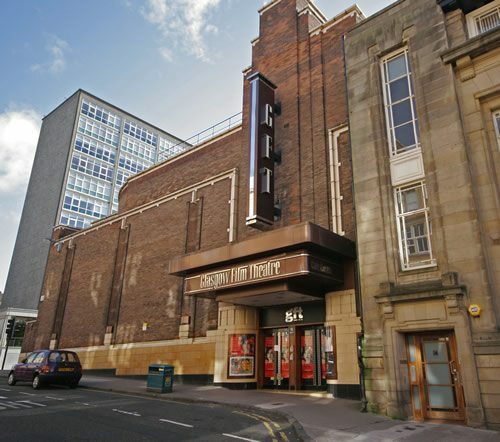 UK: One of Liverpool’s most magnificent art-deco cinema buildings could shortly be knocked down. 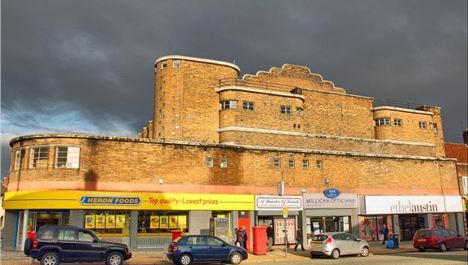 Liverpool City Council’s planning committee on Tuesday will hear details of plans to demolish the building on the corner of Dovercliffe Road – last used as a cinema in 1960 – to be replaced by a 15,000 sq ft Home Bargain store. Even the epitaph written in the committee’s agenda by planning officers illustrates what a loss this fine building will be. 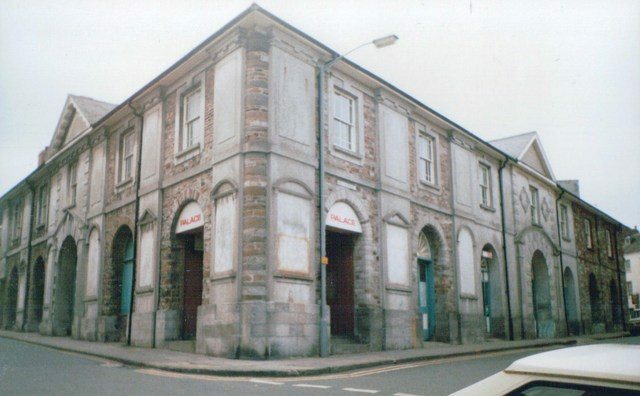 The uniqueness of this building cannot be over-emphasised (see how it originally looked in the picture above) and the Cinema Theatre Association is doing all can to prevent the demolition. UK: More spanners in the works for turning the Brighton Hippodrome into a cinema. I would personally prefer for it to remain as it is. Proposals to redevelop the Brighton Hippodrome into a £20 million cinema complex have been formally criticised by the Theatres Trust, with the body claiming that options to restore the venue as a performance space have not been fully explored. The national advisory body has submitted a 10-point objection to Brighton and Hove City Council, highlighting that a report which explores the future use of the disused venue does not include a “serious undertaking” to identify funding for its restoration. 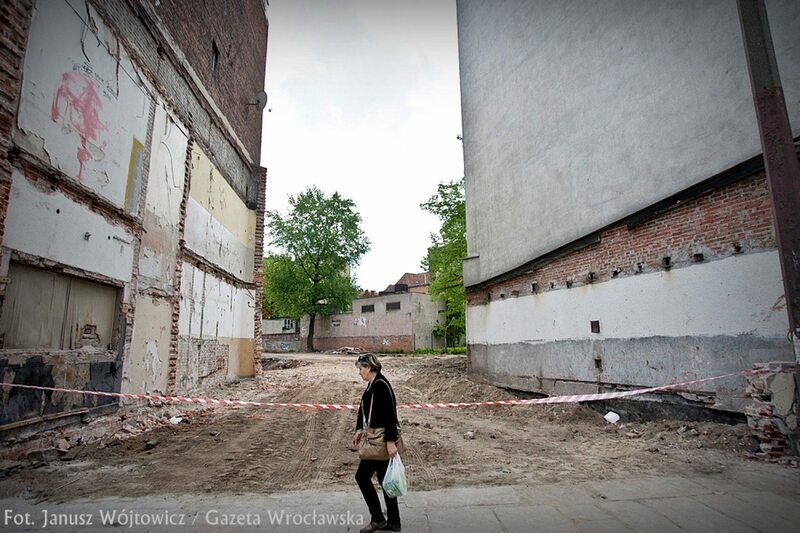 Poland: Wroczlaw’s second-oldest cinema is no more. Built just after the war it was damaged beyond repair in the 1997 floods and will now become 39 apartment blocks that will keep the name of the cinema. Kino Pionier [Cinema Pioneer], which was located on the street of National Unity since 10 September 1945 was the second cinema in Wroclaw. The first is also already dead, Kino Polonia, which opened exactly a month earlier. 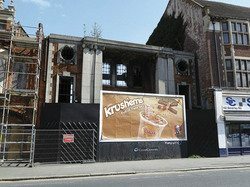 UK: The bombed out cinema that is the last building standing from the Blitz has now been put up for auction with a guide price of GBP £30,000. NOTE The property is a Grade II listed historic ruin building and lies within a conservation area. A repair notice was served on 13 December 2013 with a 2 month compliance period. Hull City Council are considering a compulsory purchase order. USA (NY): Not quite a re-opening but a return for the Queens cinema sign that got damaged by a truck. Center Cinemas’ iconic sign that was destroyed recently is going to be replaced in its original form, according to the owner. The owner, Rudy Prashad, said the sign will look very similar to what it did prior to a truck backing into it on April 10. He said it will be the same shape constructed out of plastic– with the four slots where movie titles are erected manually with the old-style letters/font. He said he had decided not to go digital. 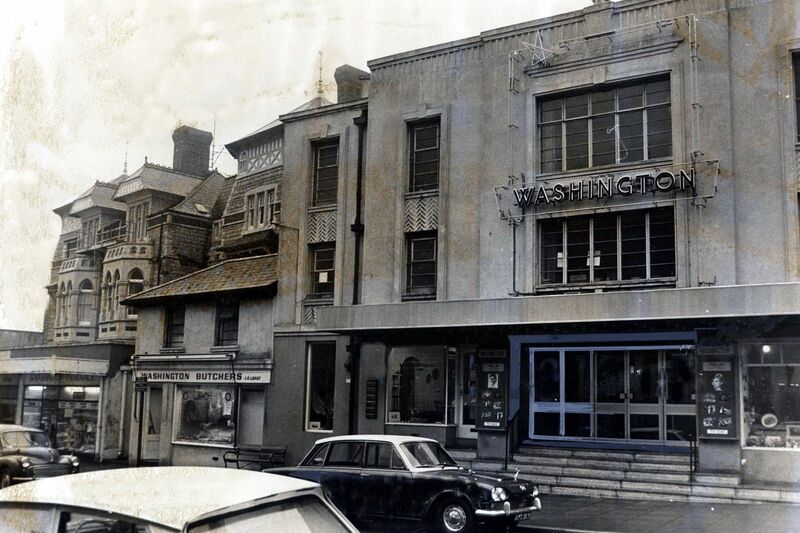 The title says it all: ’26 classic Welsh cinemas you went to as a child that aren’t there now’. Yes, it’s time for another round of Cine-Nostalgia Extreme! Remember when you took your girlfriend or boyfriend to the cinema on that awkward first date? It probably only cost you £2.50, and the film was undoubtedly a classic of the seventies, eighties or nineties. What made it all the more special though was the venue – the glorious, charming coliseums that saw theatres such as the Castle in Merthyr, the Rex in Aberdare, The Plaza in Port Talbot, The Monico in Cardiff and the Llandudno Palladium find a special place in our hearts. Sadly, they’re all gone now, but the memories live on thanks to the films we enjoyed, the good times we had and the fact the popcorn barely cost a quid.